We were reminded today of the stunning work in the AR art exhibition, Mirages and Miracles through a tweet from WITHIN. 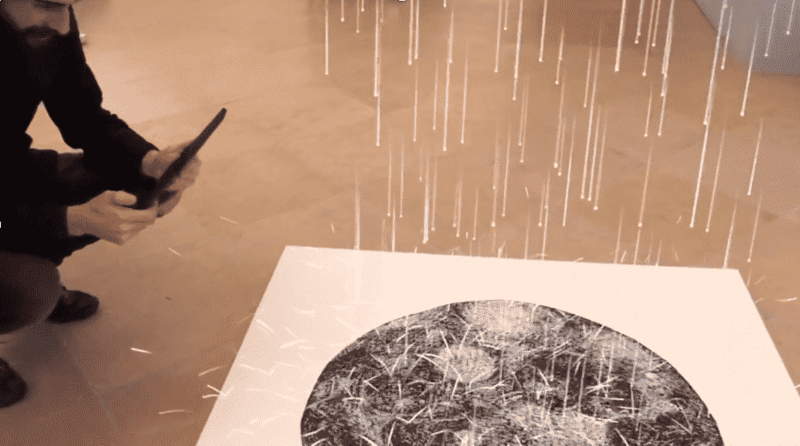 The work by the digital artists Adrien M & Claire B will make you rethink the possibilities of creating art through augmented reality. The show is now in the Netherlands at the Noordezon Performing Arts Festival in Groningen and moving this fall to the Théâtre ARLES in Arles, France.
. . . they decided to transpose this experience and create a performance for a single spectator. Utilizing HTC VIVE headsets, iPads, the Pepper’s Ghost trick, amongst other various illusion techniques, viewers experience the exhibition space and the visual magic trick embedded in each piece. The handheld devices sort of work like 3D glasses; when you look through their lenses static flat images come into motion. The hope is that this new format creates this, ‘continuous feeling of an imaginary digital world tightly building upon our real world,’ write the artists. And indeed, it does. It’s an AR art exhibition that feels personal, that’s not about the technology, but about the experience itself. Claire Bardainne & Adrien Moncot joined forces in 2011 with backgrounds in performance, theater, art, and technology. 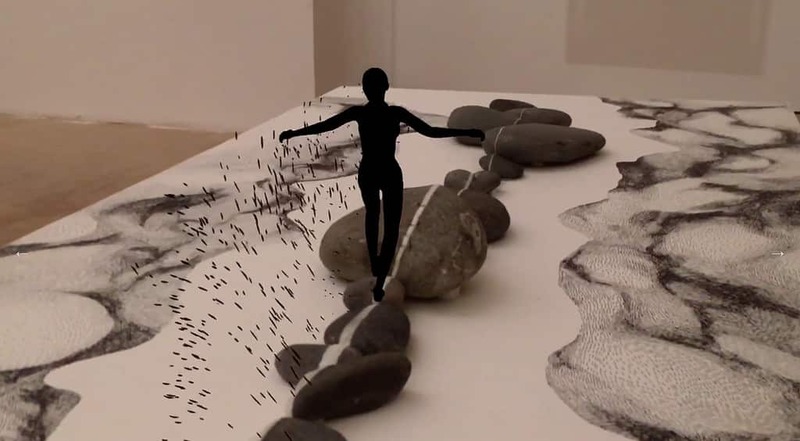 They describe their art as “mobile, handcrafted, short-lived, and responsive” and Mirages and Miracles embodies that vision as an AR art exhibition and installation. The company currently has 30 associates and two performances and two exhibitions on international tours. 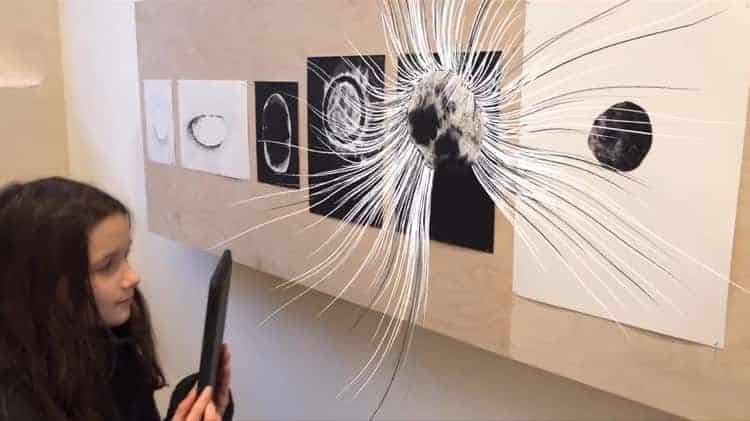 There’s a growing array of art exhibitions using augmented and virtual reality this year from the Seattle Art Museum’s Double Exposure and the Museum of Contemporary Art in Chicago, I Was Raised on the Internet. And we’re looking forward to the AR/VR David Bowie exhibit this fall. It’s time the art world embraced immersive technologies as platforms for creativity. The virtual world awaits.